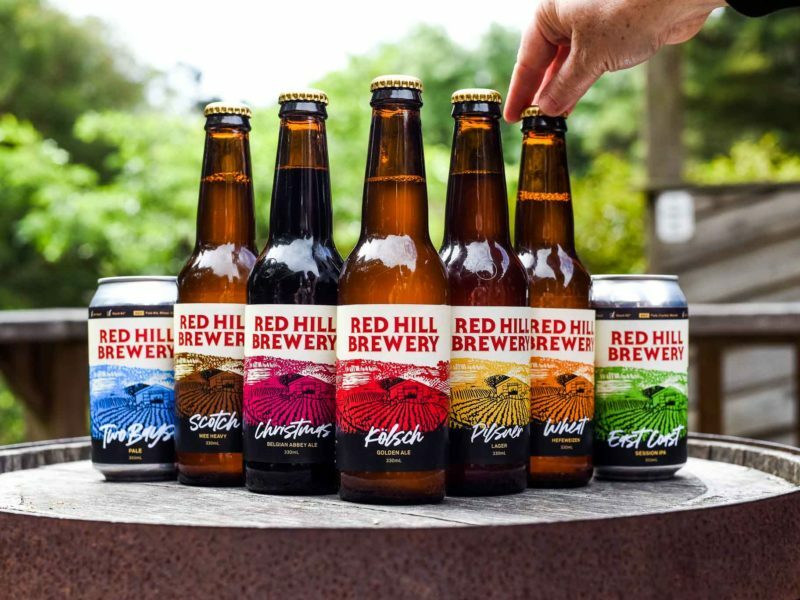 Red Hill Brewery is an award winning, independent craft brewery. Located amidst it’s own hop garden on top of Red Hill, Mornington Peninsula. Our philosophy is to brew beers that are sessionable and a pleasure to drink, even our most challenging beers which appeal to the true craft beer lover always feature balance and drinkability. 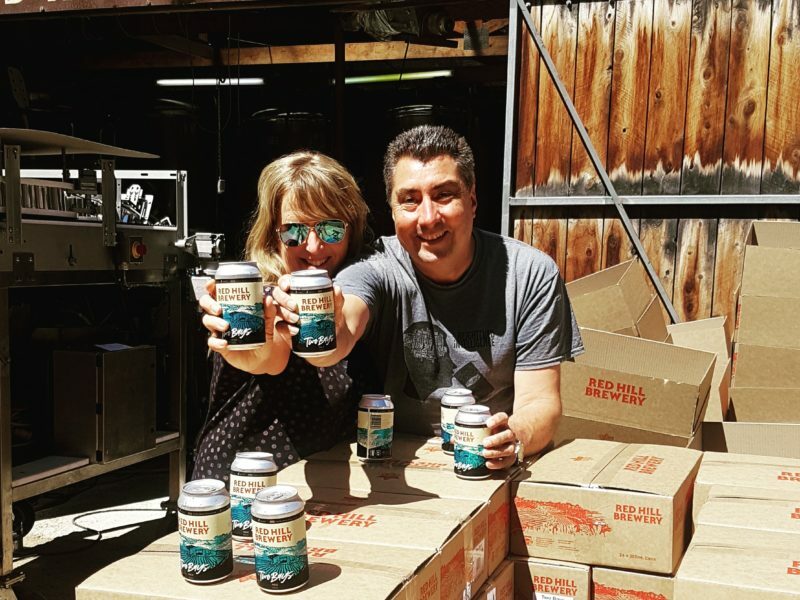 Karen and David Golding established the brewery in 2005, it was born out of a passion for amazing full flavoured brews enjoyed overseas, a love all things foodie and the lifestyle that the wonderful Mornington Peninsula offers. Our most sessionable beers are crafted all year round, and include Kolsch/Golden Ale, Pilsner, Wheat Beer and Scotch Ale. New from 2018 in cans is the Two Bays Pale and East Coast IPA to the permanent lineup. We are noted for our range of seasonal beers that are challenging in style, but also designed around what tastes great and suits the seasonal changes in Australia. Imperial Stouts in the dead of winter, Harvest beers in Autumn and the famed celebratory Abbey Ale for Christmas. We have a core range of beers including Golden Ale, Wheat Beer and Scotch Ale. These are available year round. We also do a range of seasonal beers. Beers that are challenging in style, but also designed around what tastes great and suits the seasonal changes in Australia. Imperial Stouts in the dead of winter, Hop Harvest Ale in Autumn, Belgian Blonde in Summer and Bohemian Pilsner in Spring. We never stop experimenting, using local produce such as cherries, honey and truffles, plus regular brews that are aged in barrels, sourcing oak barrels from local wineries and distilleries and extended ageing of our beer for up to a year for it to take on the character of the wood, the spirit and the wine that was previously in the barrel. Our beers are made in small batches (800lt) are made with love and skill and are getting further afield all the time. 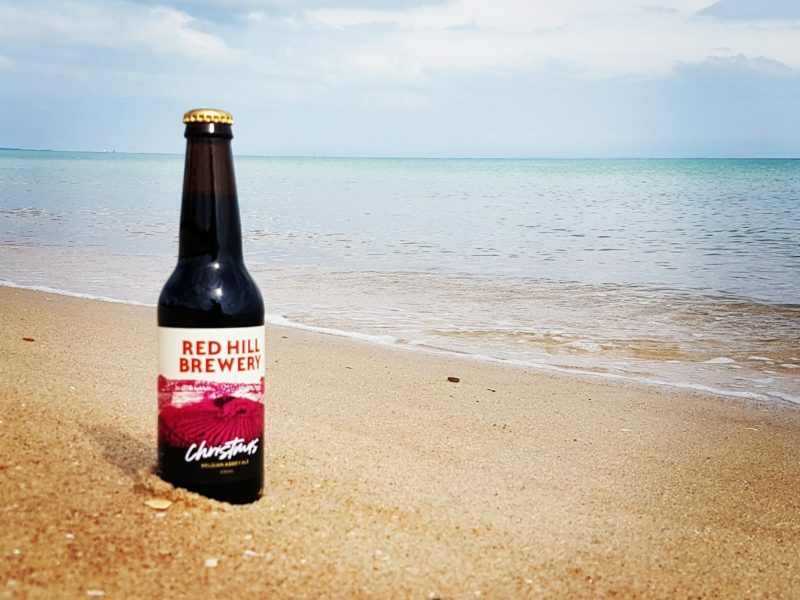 Hunt down a local bar or shop that stocks Red Hill and enjoy. Your local doesn’t have it? Email us and we’ll endeavour to get it there. We also experiment with wood ageing, sourcing oak barrels from local wineries and distilleries, playing with the wood by soaking a spirit into the wood, and extended ageing of our beer for up to a year for it to take on the character of the wood, the spirit and the wine that was previously in the barrel. Share our passion for our beer and come drink in our relaxed, rustic bush setting amidst the hop vines.